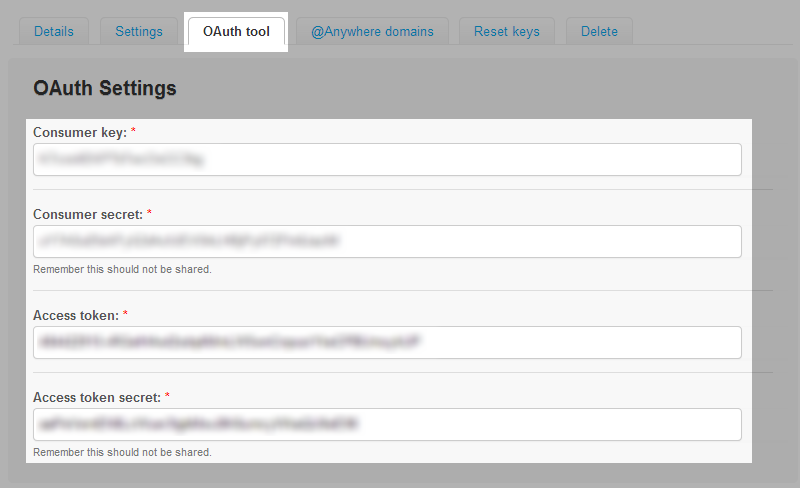 Login the site: https://dev.twitter.com with your twitter account, if you do not have a twitter account yet, please register one. 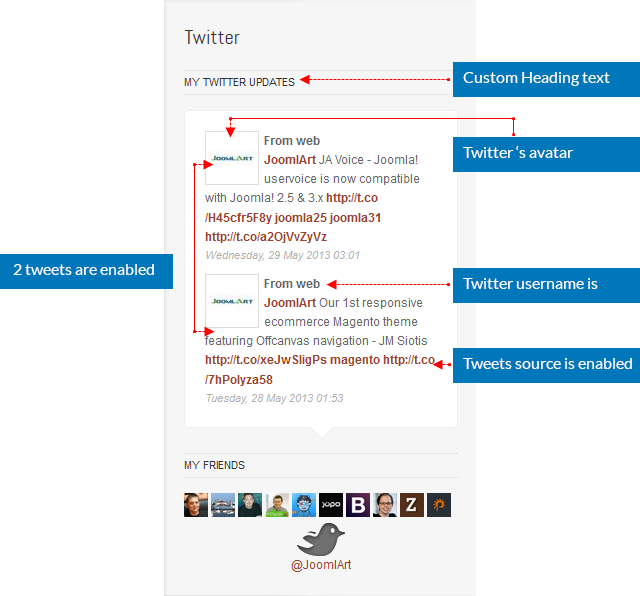 From the back-end of your Joomla site (administration) select Extensions >> Module Manger, then click on module named JA Twitter to go to configuration panel. 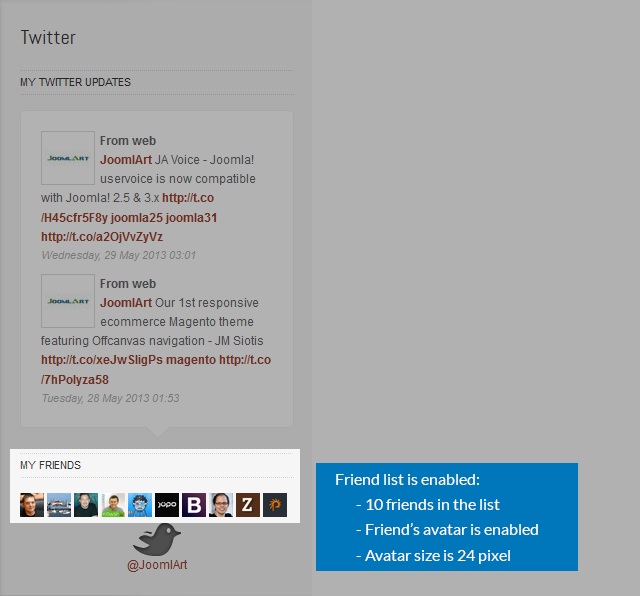 Twitter Screen Name: add your twitter name to the field. 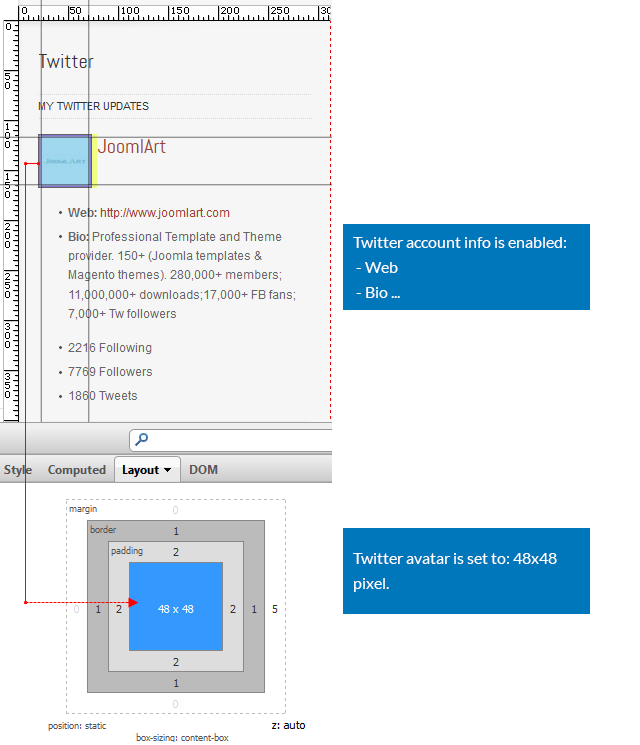 Size Of Avatar: set the size of twitter's avatar (in pixel). Show tweets: To choose show tweets info or not. 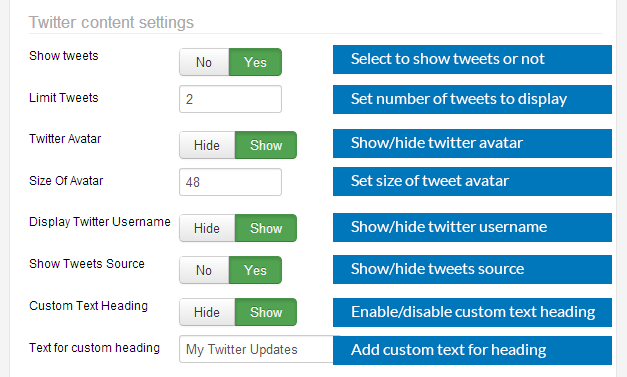 Limit Tweets: To specify how many tweets to show in frontend. Twitter Avatar: To choose show/ hide Twitter Avatar. Custom Text Heading: If set Show system will show text heading.